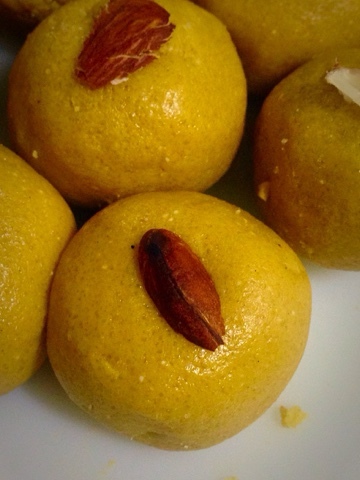 Besan ladoos are one of the easiest yummiest and healthiest sweet from India. Nutty and sweet aroma of Chickpea flour fill your home while making this sweet. This protein filled sweet is equally loved by children as well as grown ups. There are various methods people make this sweet. Method I am sharing here is my mom's recepi and full proof. 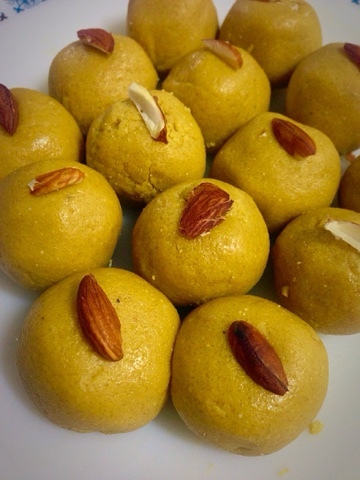 You can make this sweet entirely from chickpea flour but adding little bit of samolina add crunch to the ladoos. We love it in this way but only chickpea flour ladoos are equally tasty. 1/2 cup ghee or clarified butter. 3/4 cup sugar, powder it or you can use boora or tagar. 1. sieve the chickpea flour in a heavy bottomed pan, Add samolina and dry roast on medium flame for about 5 minutes untill a sweet aroma starts coming. Color will change slightly at this stage. 2. 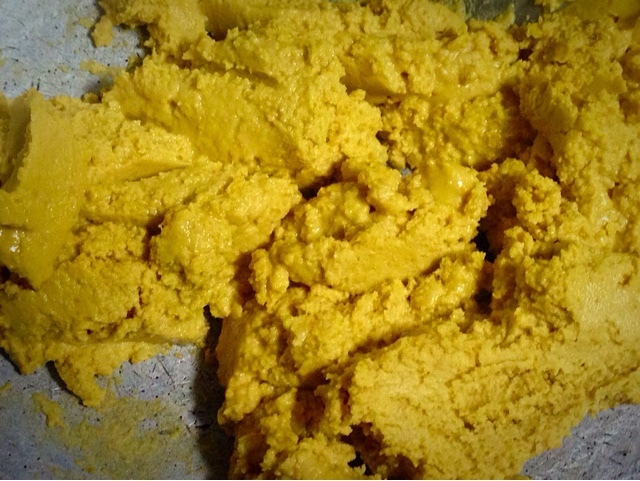 Add ghee and cook on medium sim flame until you'll get beautiful gloden color and raw smell of chickpea flour is gone. 3. Switch off the gas and let the mixture cool. When it is just warm add powdered sugar and cardimom powder. Mix well and make small balls or ladoos. 4. Garnish with sliced almonds.